For the desktop or breadboard, a nice FTDI board. LDO voltage regulator to complement the chip's own. The device has a little jumper at the bottom to select VCCIO. 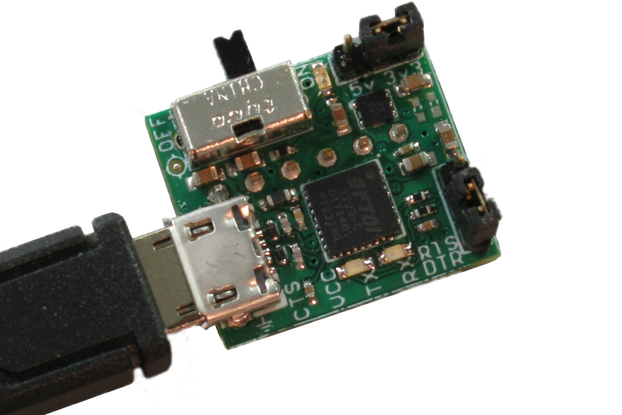 It's 5V native from USB, offers either 3V3 from the FT chip, and has a 1117 LDO VR for whatever you want, maybe 1V8 or just a better 3V3. Tx and Rx LEDs are powered by VCCIO and may be dimmer when not operating at 5V. 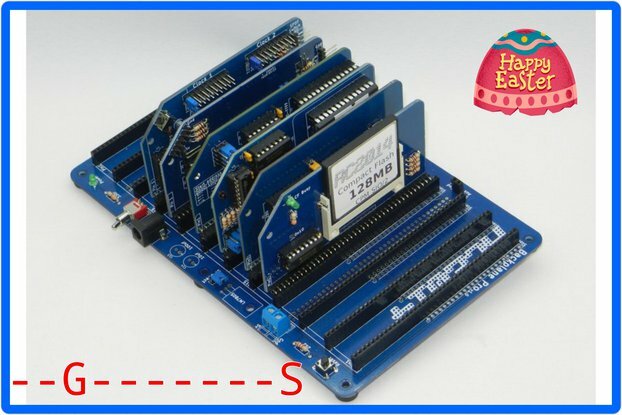 These boards break out the eighteen most useful pins from the chips. The GPIO pins are labelled by their default setting on the top and by their native name on the bottom. The board is a little wide because of the holes for the feet, but it still leaves a couple rows accessible. There is a header at the bottom of the board that's in "normal" order and should just work with devices like the Pro Mini. From left to right, the pins are GND, CTS, VCCIO, TX, RX, and DTR. Some people want to watch the raw traffic on the USB data lines. Not me, but if that's you, the pair have an exposed connection. While I have a preference for the older MiniUSB, the Micro redesign is much more common today thanks to mobile phones and its reliability. So this board has a MicroUSB connector so you can plug a cable into your computer and put the board on your desktop instead of, as is common with other devices, plug the device directly into a port on your computer. Naturally I like this product and it fits my needs perfectly; hopefully yours too. But there are other products that might meet your needs better so check them out before you ultimately buy from me. 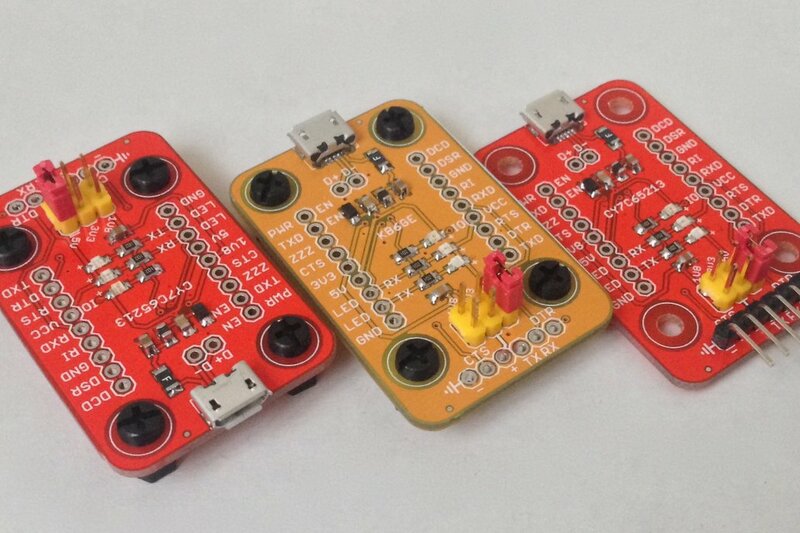 Jim Paris has the MicroFTX USB Serial Breakout. Partially Stapled makes so many great things like this Isolated USB UART. 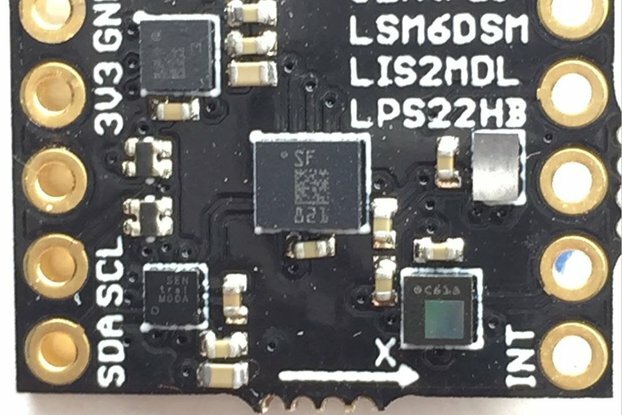 From the UK there's a SI CP2102-based USB-TTL board. Some folks up the street from me have a traditional USB to RS232 Cable. Upgrade Industries has a nice board similar to mine, it's unique in that it uses Mini-B USB and also has the OSCO and OSCI pins broken out. I think most people checking out Tindie already know what a serial adapter does and probably already have a Prolific or FTDI sitting around. 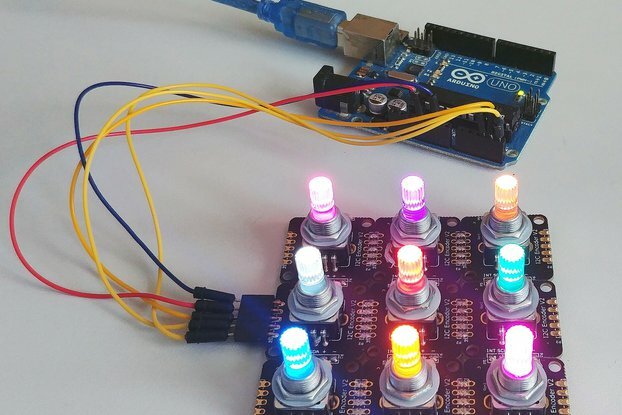 This might offer you the chance to experiment with pins or just offer better features like the LDO VR. But if you've got questions, send a message.